‘Recchie is a product designed for rider safety to protect the most exposed parts on your bike: hands and brakes. ‘Recchie design provides high protection, smoothly integrated into bike balance and geometry. Its ribs and tapers, studied in detail, make ‘Recchie durable and lightweight. ‘Recchie completely protects the rider’s hands and continues to develop horizontally until it covers the brake master cylinder and cables. ‘Recchie, thanks to its aggressive yet lightweight design (74 grams for each handguard), revolutionizes the look of the front of all mountain bikes from CrossCountry to Downhill, from Enduro to eBike. ‘Recchie is balance, yin and yang, with its total black and total white versions. The perfect suit for every Bike, the minimalist choice for your Beauty! 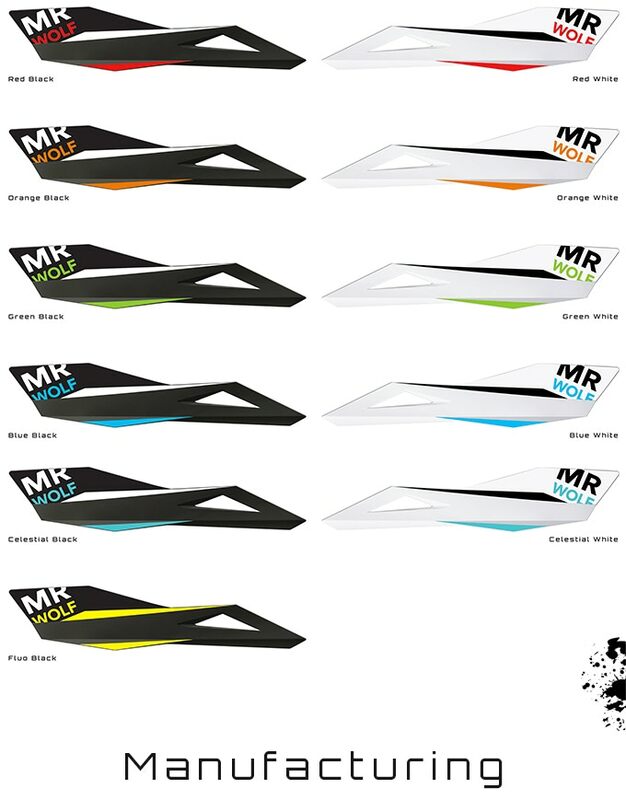 ‘Recchie graphics will make your bike even more “COOL” in one of the 13 available colours. Every version has been studied to perfectly match up the colour of your Bike. ‘Recchie is producted trought injection moulding with the highest quality materials to ensure lightness, flexibility, durability and resistance. Handguards and handlebar supports, both made in polypropylene, gives to ‘Recchie the perfect rigidity and coupling perfectly studied. ‘Recchie weights 148 grams for the couple of handguards. 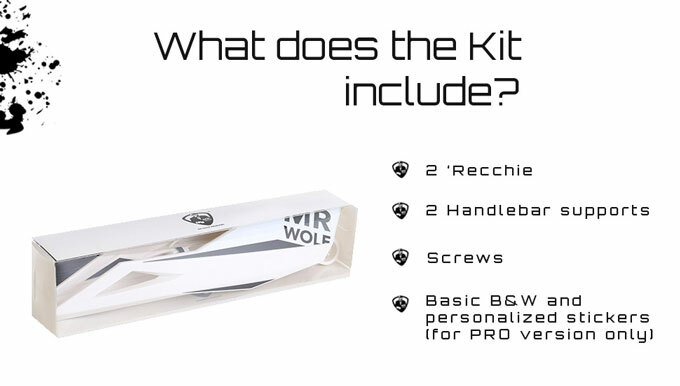 Yes, the setup is very easy and you will have just two screw for each piece. You will have not even to take out your grip!! !